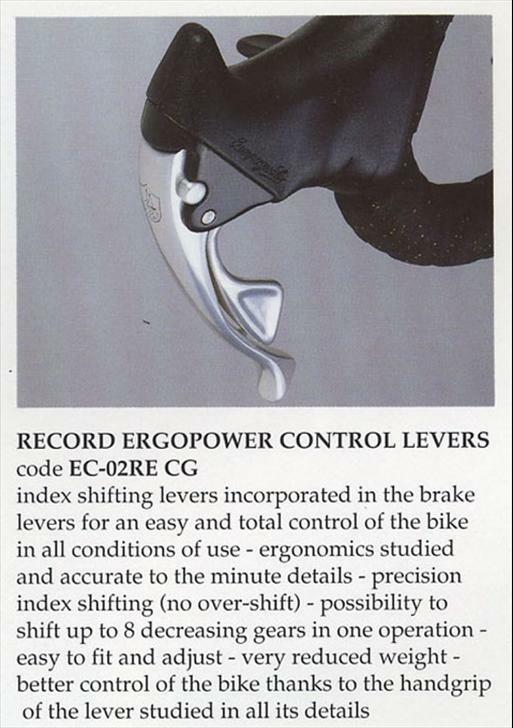 Campagnolo's first Ergo shifter, introduced in the 1992 Catalog. Used in the Record, Chorus and Athena groups. Spring loaded button on one side only operated the QR for wheel change. The stubby bottom of the lever was dropped for a more elegant design after this year.